We’ve all been on the Facebook pages and seen the fabulous resources being shared by educators. But how many are breaking the law, and how many will have their work commercialised by others? School library manager Helen Muxlow went to a talk on Creative Commons – a system of copyright relevant to educators – and says, “I see huge value in it. Teachers and support staff often don’t realise that when they make something, they don’t own the copyright. Muxlow raised the issue of copyright with her principal at Karori West Normal School, and was asked to begin work on a policy. At the same time, a group of organisations, including NZEI, PPTA, NZQA, STA and Creative Commons NZ have set up a schools project to ensure educators keep up with the rapidly changing world of copyright. Muxlow is now the NZEI leader representing all members on the project. Creative Commons is an international movement aimed at authors, artists and educators. It facilitates the spread of knowledge and innovation by offering a flexible range of protections and freedoms so that, for example, new work doesn’t get locked up in corporate vaults. In New Zealand, a small local organisation is funded by Land Information New Zealand and InternetNZ. Matt McGregor, the Public Lead at Creative Commons NZ, says that when a teacher creates a resource and they want to share it, by attaching a Creative Commons licence to it, they can control who uses it and how. 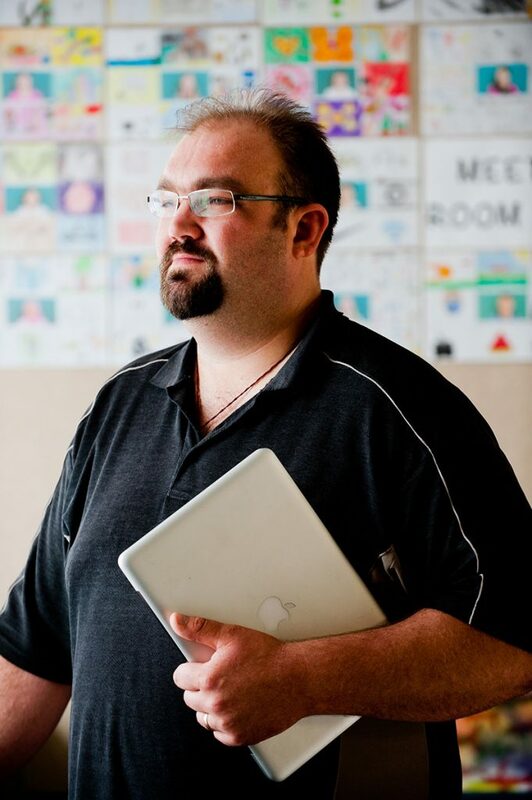 “Teachers can also safely reuse resources from other New Zealand teachers and adapt them.” It’s easier, he says, if a school has a Creative Commons policy that sets out which licences educators can and should use in what circumstances. About 100 New Zealand schools have so far signed up to Creative Commons licences. These are free and come in six basic types. Licences can require that the resource to be attributed to its creator, that commercial use is restricted, that it cannot be adapted, or that any resulting adaptation must also carry the same licence. It’s a straightforward process for a school or centre to obtain the licences and for educators to use them – affixing the licence logo on the work, does it. And the process looks likely to become even easier through POND, the portal that enables educators to search for and share resources. POND is developing a tool so that an educator who is sharing a resource can affix a licence in one click. Its advantage is that metadata attaching to the licence (creator details, school or centre, date, and so on) will go with the licence, and anyone clicking on it will be brought back to the original resource. That’s one side of copyright. The other side is using material in teaching and learning that is already under copyright. STA, the New Zealand School Trustees Associations, offers three different licences for the use of books, music and screenrights in schools, but these cost from $1.60 to $4.33 each per student. McGregor suggests that educators look to the 1.2 billion resources available online free to educators. Does your school or centre have a copyright policy? Does it cover Creative Commons licences? Templates to develop a school policy are available at Creative Commons New Zealand or the School Trustees Association.